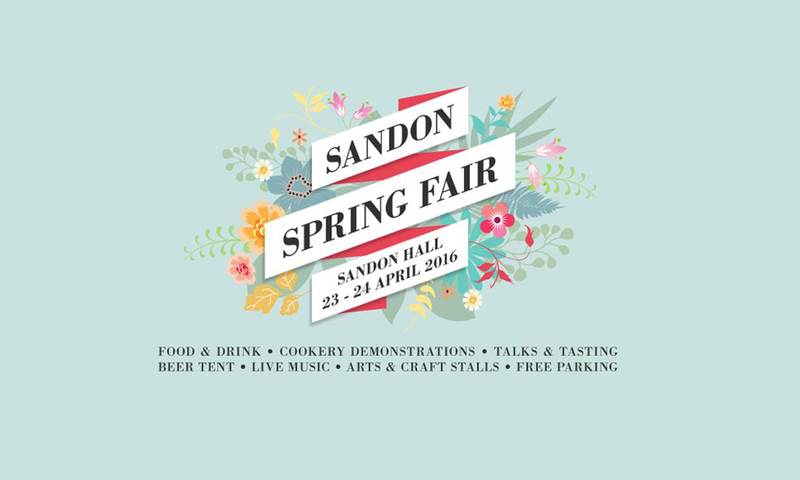 Set in the incredible and manicured 50-acre gardens of this English country estate you’d be hard pressed to find a better setting then Sandon Spring Fair for a food and craft weekend in April. Of course there might be some travel involved. Just 45 minutes out of London (7h 45min from NYC) the grounds transform into a global street food cornucopia and a craft market featuring artisans from all over the isle. If a reprieve is necessary, afternoon tea is quintessentially available inside the majestic, 162 year old hall itself. While inside make sure to explore a little and enjoy the beauty of the building but be careful the Harrowby family still operates part of it as their home. 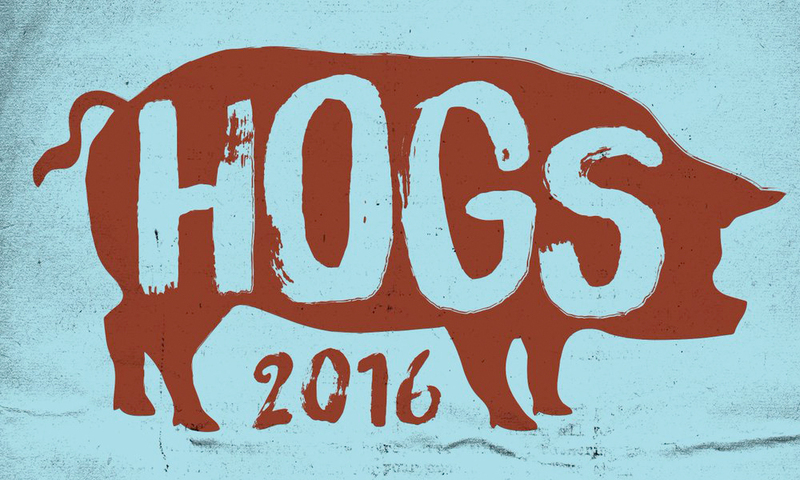 We love barbecue competitions when smashed into music festivals but Hogs for the Cause adds a charitable component. that makes it a no brainer. Add that it’s in New Orleans and if you are not in a cab to an airport (or your car if local) I’m not sure you have tastebuds. The 90 team, 2 day, competition and party raises money for children fighting pediatric brain cancer. Teams range from pro’s to backyard warriors to fun loving eaters trying their hand with the masters. Each team raises money for the cause and so it really is an incredible way to support a great cause bite after bite. Unlike some other competitions, every team sells food. Of course at $2 to $6 for dishes teams will sell out. Go early and go hungry. April 1 from 3:30-9:30 and April 2 from 11:15am to 9:45pm @ The Festival Grounds in New Orleans. If you’re a proper NYer you know the part a “slice” plays in your daily borough to borough maze run. We’ve written about the necessity of this iconic mainstay extensively. Since we’re kids the price for this necessity has seen a 1000% increase. Enter the recent trend in $1 slice joints. 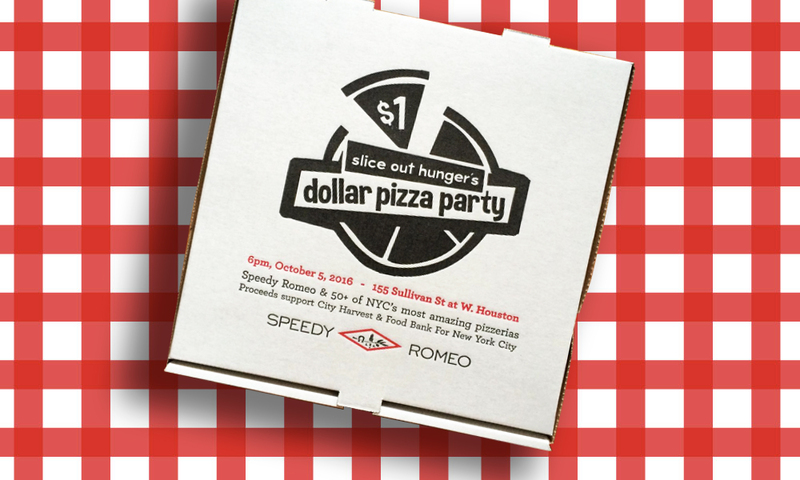 Slice Out Hunger takes the price of old, the best pizza places in NY and a HUGE charity angle on creating their Annual Dollar Slice Night. Fifty of the best NYC pizza makers under one roof for one night of a pizza party unseen since the first Napolitano’s landed on Ellis Island. 100% of proceeds benefits New Yorkers in need. We’ll be there with a bib on. Hope to see you. Wednesday, October 5 from 6pm-8pm in Soho, NYC. 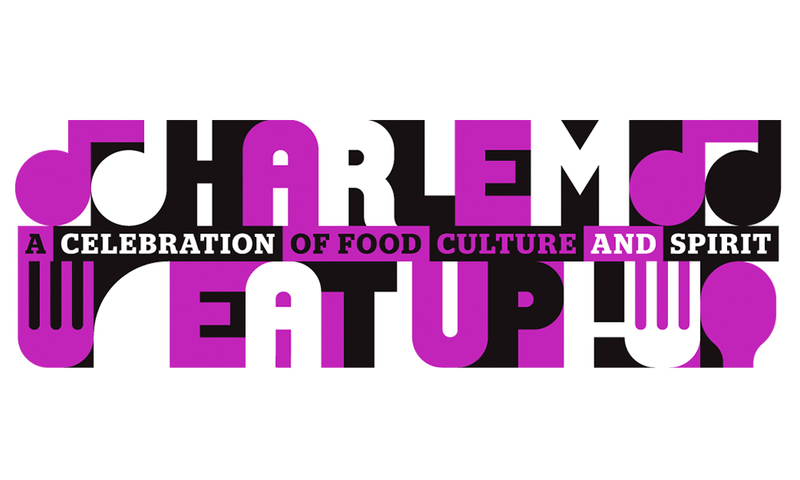 Year two of the Harlem Eatup is set to blow year one out of the proverbial special sauce. Broken up into dinners, main stage and grand tasting events then sprinkled with names you love like Flay, Emeril and Waxman, there’s something for ever foodie style. Plus, your in Harlem USA (as they say). Historic, reborn and ground zero for so many cultural transformations, and now food, just being up on the 125th is exciting. Make a day and a night of it. Go hungry and with your party shoes on. You just might end up on stage at the Apollo. You know you have it in ya. May 18-22 in Harlem, NYC. There’s been a lot of breakfast for dinner this year and it’s only March. 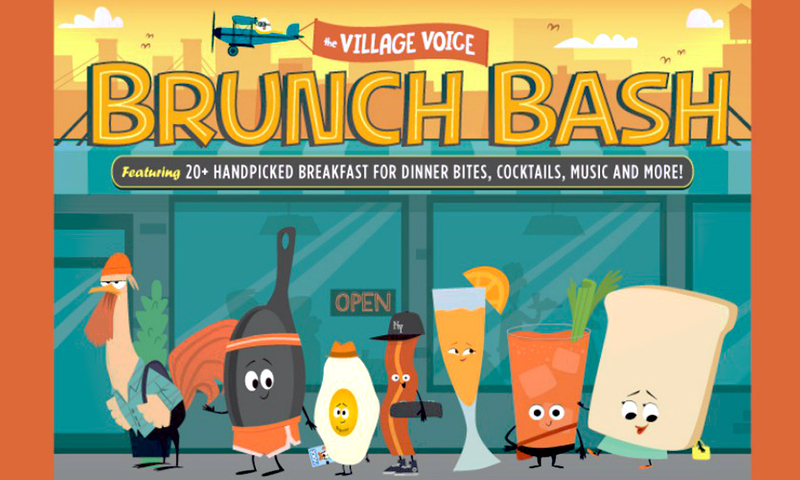 Building on the success of Choice Eats, the Village Voice peeps bring us Brunch Eats. As you’d expect, breakfast is prepared one evening by 20+ top restaurants and bakeries. Your ticket gets you a taste of all of them as well as breakfast cocktails and music. Note on the cocktails, since breakfast IS at dinner time, the 2 mimosa rule is lifted allowing you to indulge as if it was dinner time. Wait…it is dinner. If it’s anything like Choice Eats this will sell out. Snap your tickets up quick. May 11th from 8pm-10pm @ the Intrepid Sea, Air & Space Museum in NYC.